Known for it’s wild nightlife and world-class surf, Jaco Beach is one of Costa Rica’s premier destinations. 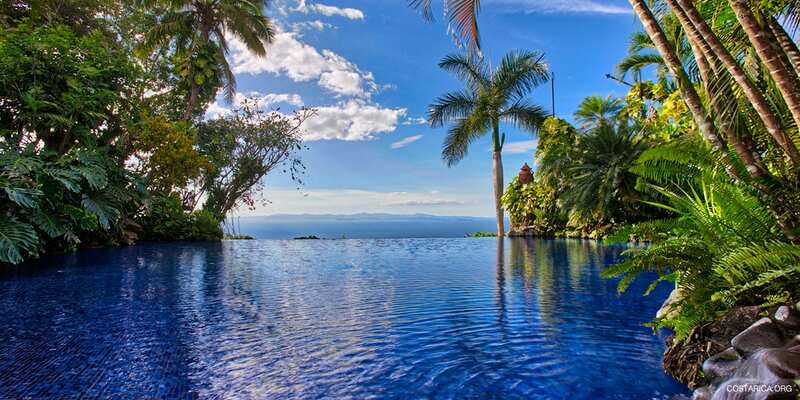 This area is offers a wide variety of accommodations, as well as shopping, restaurants and bars – it is one of Costa Rica’s most bustling beach towns. Relax after a day of adventure at one of these fine accommodation options in Jaco. If you are looking for beachfront condominiums, the Hotel Club del Mar is one of the area’s finest lodging options. We’ve compiled this guide to the resorts in Jaco Beach Costa Rica to spotlight some of the best area options. Surfing in Hermosa, Sport fishing in Herradura! Do you want to be near some of the best surf in Costa Rica? Then Terrazas del Pacifico is the perfect place to rest your board. This beachfront hotel was just home to the Billabong 2009 World Surfing Games and has been attracting surfers from around the world ever since. For those interested in golfing or sport fishing, the Marriott Los Suenos just north of Jaco Beach in Playa Herradura might be an excellent option. For many years Jaco has been considered the best party town in all of Costa Rica! Many clubs and bars are located in this central Pacific town. There is always something going on there! Just 90 minutes from the International Airport in San Jose, Jaco has always been the place to go in Costa Rica for those looking for nightlife. So whether you like to party or just relax Jaco is the place to come. Hotels range from rustic to luxurious and we can provide the best one for you.